When embarking on a home renovation, ​repainting a room is practically a given. But did you know that your choice of paint can greatly affect the indoor air quality of your home, and in turn, your family's health? 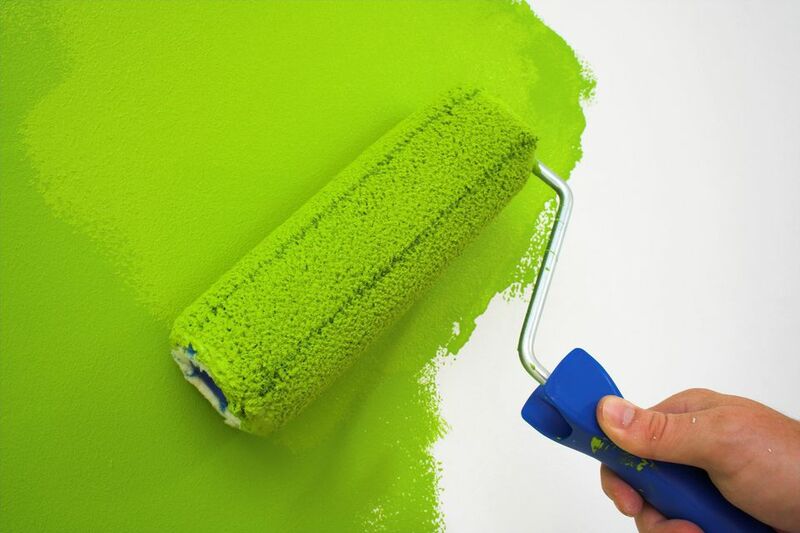 Consider using eco-friendly and organic house paints next time you get the urge to change your color palette. No longer a specialty item, these paints are easier to buy, more available, less expensive, and more beautiful than ever. Almost everything about eco-friendly house paints hinges on volatile organic compounds (VOCs). VOCs are behind that familiar strong stench of paint, and whether or not you like it, it has the brain-cell-killing power of glue. Paints not only release VOCs into your living environment upon application but also continue to off-gas for several years. According to the Environmental Protection Agency (EPA), exposure to VOCs can result in a host of problems, from mere unpleasant symptoms to severe health conditions. VOCs can cause skin irritation, nose and throat discomfort, headaches, allergic skin reaction, difficulty in breathing, labored breathing, nausea, and fatigue. On the more severe end, VOCs affect your nervous system and cause emesis, epistasis, and dizziness. In fact, contrary to popular notion, the EPA has found that pollutants can often be between two and five times higher inside of a house than outside of it. Fortunately, there are plenty of interior and exterior home paints on the market that contain few VOCs or no VOCs. No matter which type of eco-friendly house paint that you choose, look for the stamp of approval from Green Seal, a non-profit, independent product certification agency, just as you would look for the Energy Star label when buying appliances. While there are no official standards governing VOCs in non-industrial settings, paints marketed as low VOC should contain fewer than 50 grams per liter of VOCs per the EPA's guidelines. Levels vary by paint manufacturer, which means that you will still notice a little of that new paint smell until it dries. However, once the smell goes away, the VOCs can still off-gas for a long time to come. Going zero-VOC is more significant than you might imagine, even for small painting projects. For a room-sized painting job that uses three gallons of full VOC paint, you release 10 pounds of VOCs in the air. The designation of "zero VOC" is a little misleading. Just like certain food products are labeled "fat-free" if they contain less than a gram, paints may be labeled zero VOC if they contain less than 5 grams per liter. Still, zero VOC paints are a very environmentally-conscious choice, and especially so for those who are sensitive to strong smells or have allergies. Some paint manufacturers that produce zero VOC paint include AFM Safecoat, Sherwin-Williams' EcoSelect Zero VOC Interior Latex paint collection, and Home Depot's house brand Behr with its Premium Plus Interior Zero VOC line of paints. If all the letters and numbers prove too much for you, opt for paint made from natural ingredients. With these products, you don't have to worry about any harsh chemicals, heavy metals, or compounds as they are made from water, plant dyes, essential oils, resins, clay, chalk, milk casein, and even bees' wax. The scent is minimal, though rarely can it be considered pleasant. Since these paints are made from water, clean-up is easy and requires only warm water and soap. Natural house paints are so basic in nature, that some homeowners even make their own. On the downside, though, natural paints tend to be more expensive and have fewer color choices than the chemical-based low- and zero-VOC paints. Some manufacturers that produce natural paint include BioShield Paints, Old Fashioned Milk Paint Company, and the organic linen company Anna Sova, with its unique line of Food Paints.